Here's one we've all been in need of at some point in time! 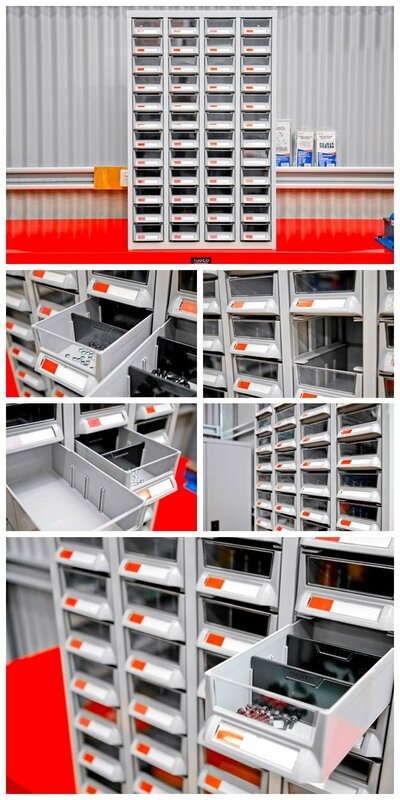 The Parts Bin is ideal for storing small parts and includes 48 individual bin dividers. Our HAFCO model is capable of a 10kg load capacity per bin with a 480kg total load capacity per unit. The clear front window makes it easy to identify parts and the ABS finish is oil and impact resistant.